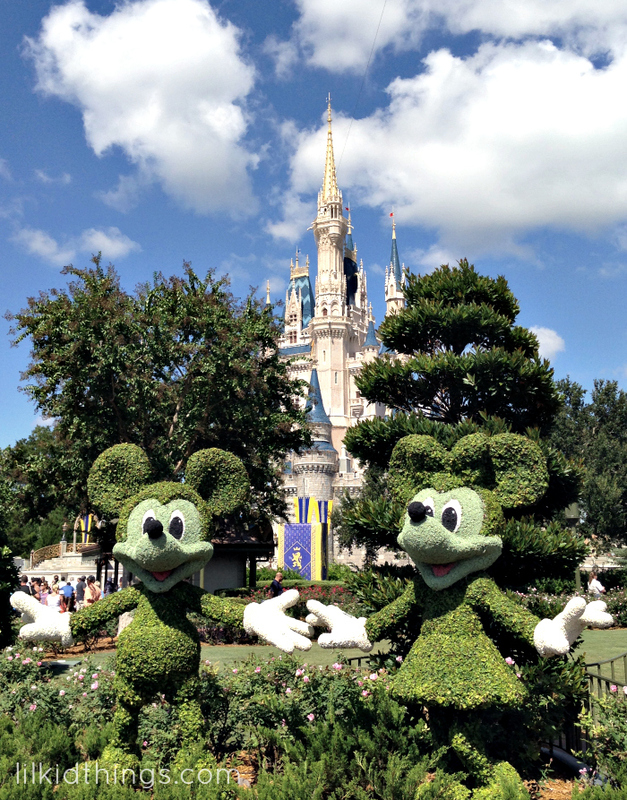 I write about Walt Disney World from time to time on this blog. Sometimes out of a genuine love for the memories I make each time I visit; I just have to share and keep a record of our good times. Other times, I have had the honor of sharing just a peek into the inspiration I have gleaned from The Disney Social Media Moms conference. I grew up living near Walt Disney World, so my childhood is packed full of Disney memories. Some clear, some just there in the background and fading a bit. Since we had our boys, we have had the privilege of bringing both of them to Walt Disney World and I even got to introduce my husband to the magic for his first visit in 2010. What is the big deal about Disney? Some people just don’t get Disney. Isn’t it just a theme park? I mean, from the outside I totally get why people don’t understand what has become known as “the Disney Difference”. You might see me posting about Disney related topics from time to time and think ok that’s cool. She’s into Disney stuff. And if that’s all it is, that is fine with me. But today, I’d love to share a little bit more than cute photos of Mickey and the gang. In the past two months, I have discovered a completely different side of Disney and I am overwhelmed by it. In September, I applied for a position on the Disney Parks Moms Panel. I spoke about it on various social media accounts, but I didn’t write about it here. Being on the Moms Panel would mean sharing my experience and love of Disney Parks with people who are planning their own very special visits. It would mean being on the other side of the curtain in a way. Working with the Disney brand has always been a dream of mine so I went for it. After the fact, I see that it was an intense nervousness that kept me from sharing too much here. And it wasn’t until I made it to the very last interview that I realized how much I truly wanted that coveted spot on the Panel. This year, I was not offered a position. But it was what happened since that “Unfortunately…..” email that has been so meaningful to me. There is something very special about Disney employees, or “Cast Members” as they are known in the Parks. It is their job to give everyone they meet a magical experience. I have witnessed this first-hand on several occasions, from a surprise cookie to comfort my crying toddler at dinner in the Magic Kingdom to getting stellar service at both The Contemporary Hotel (a Deluxe Disney Resort) and Pop Century (a Value Disney Resort) regardless of the price of a room. Everyone matters. And while I am sure there are people out there who have had an off day, I will be forever loyal to this brand who by design, strives to make each of their millions upon millions of guests feel like the only one. In my 35 years of Disney life experience, this has been no more clear to me than during the Moms Panel search. I watched as men and women applied for the third, fourth, sixth and even seventh time hoping to get one of this year’s 17 spots. Thousands applied and only double-digit numbers made it to the final round. Through the process, I watched as Disney PR (namely one Gary Buchanan) seamlessly comforted those whose journey came to an end while encouraging others who saw their dreams come true. No one was left out. No one was ignored. This is the Disney Difference. After the initial sting of seeing that no email, I have become incredibly grateful for the opportunity to try again. It’s really a strange and personal process because Disney Panelists must embody not only a knowledge of the Parks, but also that spirit of Disney that gives and gives from ones own personal well of special memories. It was a challenge to dig deep, but what I found in being told to try again next year was that this isn’t simply another job. I wondered if it was really my”dream” to be on the Moms Panel. I know now that it is. I didn’t understand before what applying seven times meant to someone. Even though I have only applied once, knowing that I will do this all again next year gives me massive respect for the ones who never gave up. That is what it’s all about. That is the Disney Difference. I may never make it onto the Moms Panel and I am ok with that. I have 35 years of wonderful memories and counting. I put a high value on experiences and memories. Moreso than any material thing. I think that is why the idea of “Disney” is so appealing to me. Magical truly is the word for it. The thing is, if I had made it on my first try, it would have been amazing. But I don’t know that I would truly appreciate it the way I would now if ever selected. It’s weird how things work like that. Never one to shy away from a learning experience, I am going to soak up every last bit of inspiration I can from the past two months. And you can be sure I will be back next year. Beautiful words that say it all! This was beautifully written Andrea. It was great to be on this adventure with you, us both being newbies. You are MEANT to be a panelist, and I can’t wait to see you in the running again next year. I’m already cheering for you! Thanks so much for your encouragement! I know you will have an awesome year! Happy to help any way I can 🙂 When are you going? How fun! OH you just made my day! I still feel this way 100%. What a year!